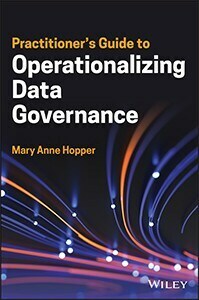 Updated version of the first comprehensive book on applying clinical research data and metadata to the CDISC standards. Updated to reflect the 2017 FDA mandate for adherence to CDISC standards. The best-selling workbook companion to The Little SAS Book, Exercises and Projects for The Little SAS® Book, Sixth Edition will be updated to match the updates to the new The Little SAS® Book: A Primer, Sixth Edition. This hands-on workbook is designed to hone your SAS skills whether you are a student or a professional. This title will give new SAS users, including those seeking Base Programmer certification, an in-depth introduction to all the topics required to become a proficient SAS programmer. Topics include working with data in various forms and data manipulation, creating a variety of tabular and visual summaries of data, as well as data validation and good programming practices. The book pursues learning objectives in a spiral curriculum that returns to build upon topics introduced earlier, and at its core uses large-scale projects presented as case studies. The topics will introduce them to how to think like a biostatistician with real life problems to make it relevant. This includes how to determine what tests are the most appropriate to answer the question being studied. Many of the methods are common to other disciplines, such as comparing treatment groups with t tests and ANOVA, but some topics will cover material that finds greater use in the biological sciences. These will include topics such as odds ratios and relative risk, and survival analysis. This basic knowledge of biostatistics will help the readers to both understand and evaluate what they read in the biological and medical literature as well as enable them to correctly generate and interpret such statistics from their own data. Most SAS Visual Analytics users today only use the most basic visualizations and charts and are only scratching the surface in terms of the tool’s full potential. These users lack basic understanding of the more advanced analytics techniques, struggle with identifying the relevant business context in which to apply these advanced techniques and are not familiar with the relevant SAS Visual Analytics components. Almost every section in the best-seller, The Little SAS Book, will be updated to ensure that this book continues to be the book that readers turn to when learning how to program in SAS. The sixth edition will be interface independent so it won’t matter if you are using SAS Studio, SAS Enterprise Guide, or the SAS windowing environment as your programming interface. In this edition, the authors have included many more examples of creating and using permanent SAS data sets, as well as using PROC IMPORT to read data. The new edition also deemphasizes reading raw data files using the INPUT statement—a topic that is no longer covered in the new base SAS programmer certification exam. The Little SAS® Book: A Primer, Sixth Edition is a must for learning how to program using SAS!